Searching a dishwasher technician in Airdrie? You have come to the right place! Our company is here to arrange a quick and affordable service whenever your dishwashing machine breaks down. Modern dishwashers are complex appliances. That is why you need to make sure you entrust your appliance’s repair to the right people. Each local tech we hire is expert in servicing all makes and models available out there. No matter what went wrong with your unit, the tech will solve the problem in the most efficient way. So don’t hesitate to call us. We can’t wait to assist you with your dishwasher repair in Airdrie, Alberta! Whenever your dishwashing machine starts acting up, Appliance Repair Airdrie is at your service. We realize how crucial your appliance is to you. Without a well-operational dishwasher, your daily chores can turn into a mess in an instant. But don’t worry! 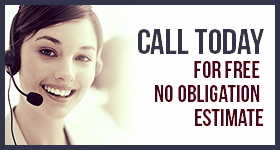 Just dial our number and one of the local experts will be there to help you as soon as possible. Whether your unit is not cleaning the dishes well, leaking, or won’t turn on, the dishwasher technician will find the right way to fix it. By having all necessary tools and parts in a service truck, the pro will do everything needed to handle the job during the first stop. Like anything else in your household, your dishwasher can go on the fritz at any point in time. To avoid major breakages, call our company for preventative maintenance. By checking your unit regularly, the Airdrie dishwasher tech will detect and fix all tiny problems right on site. Thus, you will be able to use your machine without the risks of unexpected failures for years to come. Is it time for a new dishwasher installation? Our company is just a call away! The local pros have the expertise and skills to fit any appliance, regardless of the type and brand you own. So don’t give it a second thought and get in touch with us right now. 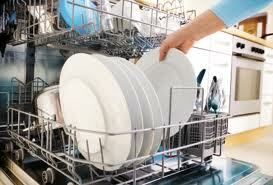 A dishwasher technician of Airdrie will handle any challenge in a timely and effective manner!